some of the old windows. In the midst of the chill of winter there is a group of women in Berea who bring back a very fancy tradition of the past. The ladies of St Thomas Episcipal Church in Berea hold high tea, accompanied by music, a small program, and lovely tea foods, like scones and watercress sandwiches. More often than not the event is a mother/daughter group, wearing their finest victorian treasures, including vintage hats. It is a spark of spring to refresh the soul, and encourage the preservation of friendships, and traditions. 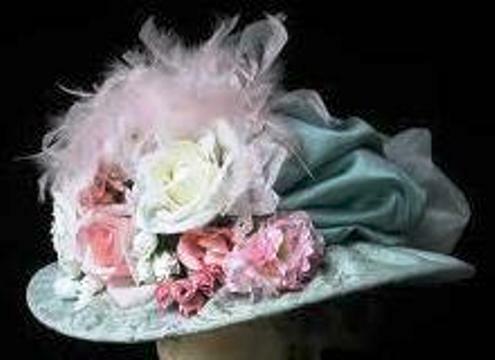 just an example of the amazing array of victorian hats that will be worn to the tea. We have been very fortunate to be invited to set up shop for the event, loving the wonderful parade of color, and festivity. Several of the women last year detailed to me how they made their Victorian hats. Spectacular work. They created treasures their children will have to remember them by, and made memories with their daughters enjoying high tea together. So we have been preparing for the event by making sure we have a supply of the classic floral soaps – lavender, rose bergamont, lilac, sweetgrass, honeysuckle, and we have brought back the little egg soaps in baskets. 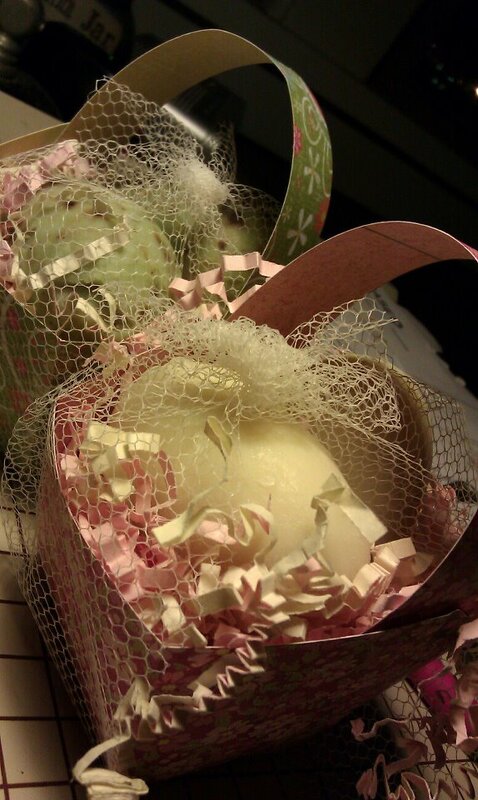 An easter and spring time favorite, we just love how cute these soaps look nuzzled in a bed of paper grass, and a basket made of scrapbook stock paper. If you are interested in attending i am not certain of the availability of tickets, however you can call the church at 440-234-5241, The Victorian Tea will be Saturday, Feb. 23, 2013, with two seatings: 11:00 a.m. or 3:00 p.m. The cost per ticket is $20. I promise I will post photos of the event.